The Bianchi family intertwin heritage and wine at Valentin Bianchi. Raul Bianchi tastes a slab of wild boar. 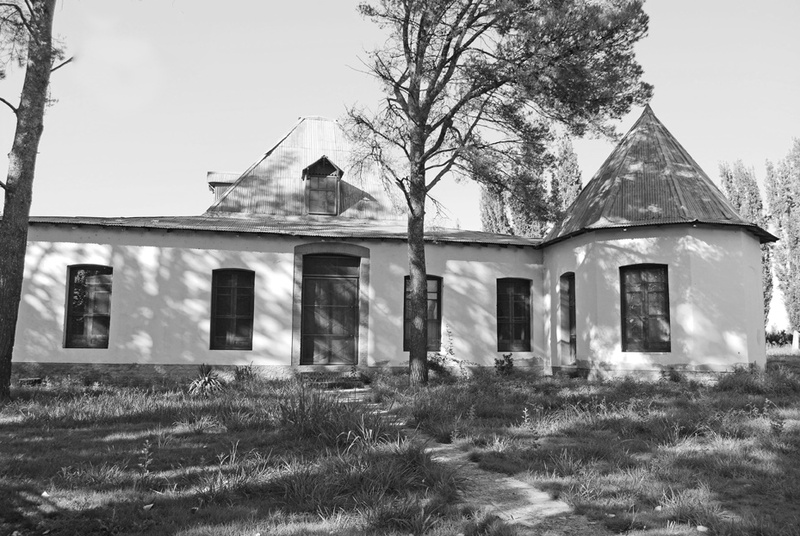 The original home of Valentin and Elsa Bianchi now sits in the middle of the Elsa Bianchi vineyards. Raul Bianchi and his sister Sylvia Bianchi. One of the original six grapes allowed to be blended in the making of Bordeaux wines, it was largely cultivated in the Cahoors region of France. In the 1860s, a French agricultural engineer brought some malbec vines to Argentina, where they were cultivated to be blended in with Cabernet Sauvignon (in the Bordeaux model). When the Argentine wine industry was looking to upgrade the quality and image of its wines for international export in the 1980s, they found that Argentine malbec grapes produce a wine of intense color with a very pleasing combination of fruit and spice, and a velvety texture that falls right in line with the palate of most wine drinkers (especially in the US). It also is remarkably food-friendly – standing up to both the pungent flavors of garlic-based cuisines like Italian and to the richness of red meats, especially steaks and chops (which are an integral part of Argentine meals). 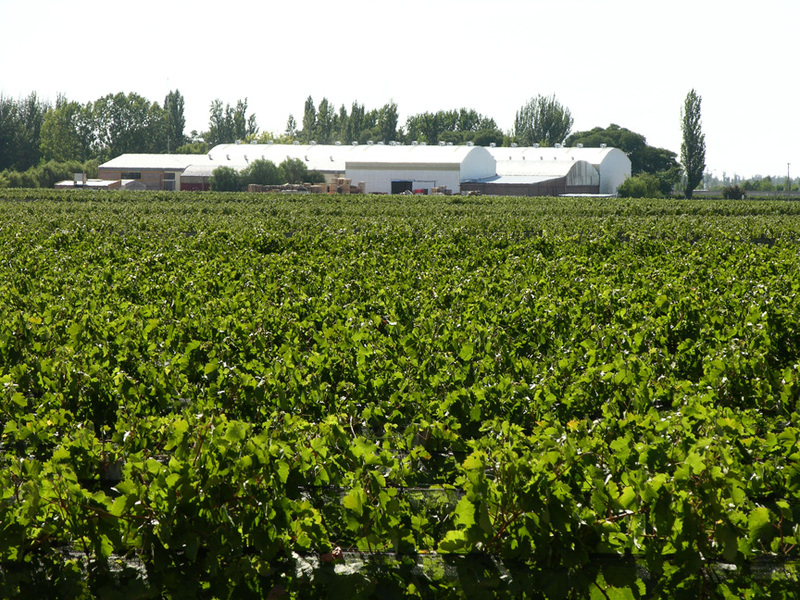 Therefore, it really comes as no surprise that the grandchildren of Italian immigrant Valentin Bianchi, who founded a winery in the southernmost part of the country’s Mendoza region in 1928, are avid food lovers who greatly appreciate how their heritage and the wine they produce are intertwined. Raul Bianchi heads this still family-owned winery, one of the oldest in Argentina, and is an accomplished outdoorsman. 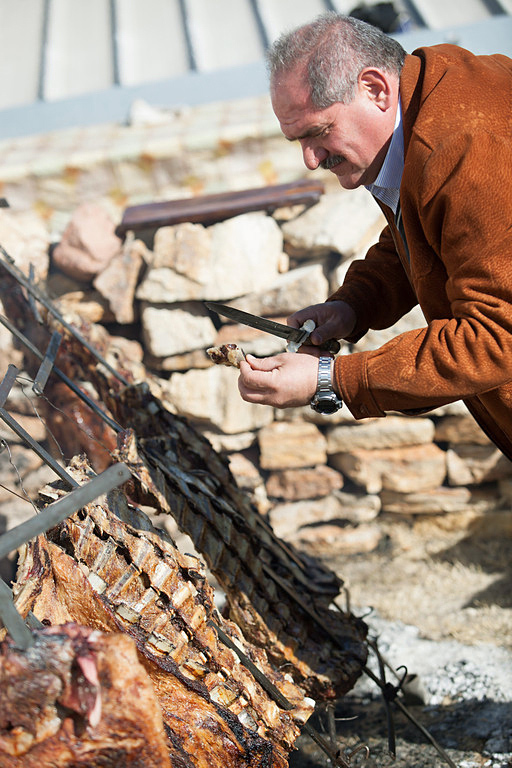 He likes nothing better than to gather his large, extended family of siblings, children, cousins, aunts and uncles at the winery, which is surrounded by the Estate’s vineyards in the foothills of the Andes Mountains, for a traditional pit barbecue featuring game like wild boar. The meat is always accompanied by salad and vegetables grown on the property of over 725 acres, and heaping plates of pasta and rice (a nod to both Italian and Argentine traditions). Before cooking, the meat is trimmed of excess fat and covered with a dry rub of salt, pepper and wild herbs. Raul is not adamant on the kind of wood used for the barbecue. He says the real key to the proper outdoor cooking is to have command over the fire, closely regulating the temperature to make sure the meat is not under nor over done. The vegetables are sautéed in olive oil that comes from the fruits of the winery’s olive trees, accentuated with the garlic that sustained and fortified their Italian grandparents in their new homeland. Though it’s now summer in Argentina, barbecue isn’t restricted to this time of year. As the region’s winters are a bit milder than in St. Louis, Raul can be found tending to his pit year-round. And, he always has a glass of one of the many levels of Valentin Bianchi’s malbecs at the ready – value-priced Elsa, lightly oak-aged Valentin, the premium-priced Famiglia Bianchi, and the super-premium Particular Malbec. The malbec he chooses for the evening’s repast largely depends on how much finesse and complexity he believes the meal needs. But, he is proud to point out every one of his malbecs is up to the challenge. Valentin Bianchi was one of Argentina’s pioneer wine exporters. 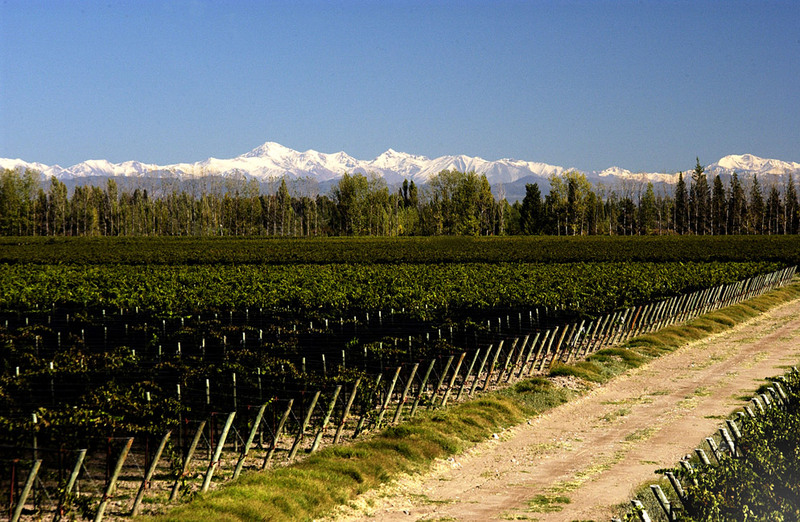 Their wines have been available in the US since malbec started making its climb to fame as a varietal. You can channel the Argentine experience by serving a great piece of game meat, a well-grilled steak or sit down to a hearty Italian meal accompanied by Argentina’s signature red wine that has been on a wild ride to stardom.